All tricks and no treats with this fun inaugural Halloween collection by ©Alicia Dujets for Ink & Arrow. 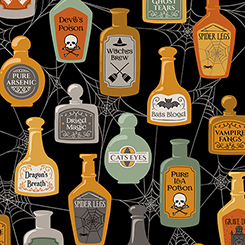 The potions and spells await your favorite spooky cats and tricksters. Creepy ghouls tell their stories from the graveyard. it's a bootiful collection of ghoulish fun!